Wondering what to do with your kids’ artwork? Let us transform your kids’ artwork into unique and meaningful pieces of art printed on museum quality canvas or archival paper prints. Art is something very personal and we all have a different taste for it, but when it comes to our kids’ art, they bring an emotional and incredible feeling of proudness to them and us. 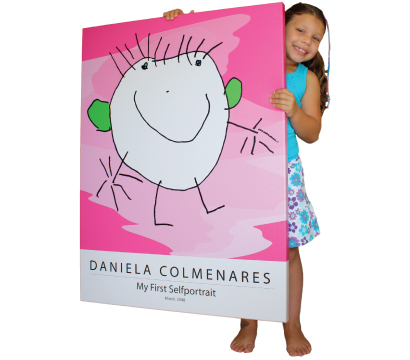 I Love my Kids’ Art is all about transforming kids’ artwork into professional pieces of art, perfect for your home decoration and a way to preserve your kids’ artistic talents. Take a look at our gallery or contact us if you want our advise about your kids’ artwork. Ready to order? Read our How to Order guide.